DietSpotlight Burn is a diet pill distributed by DietSpotlight and it’s basically just a re-branded version of an earlier product called Leptigen. Leptigen has not been retired, the company continues to market it as well, via its own special website. DietSpotlight Burn also has it’s own website that appears to be nothing more than a clone of the Leptigen website, in which the name “Leptigen” has been replaced with “Burn”. 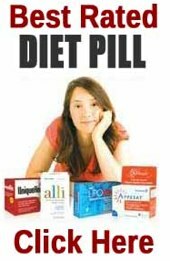 Many diet pills are designed to provide extra energy and most of those that do contain caffeine and/or other stimulants. Stimulants are good for providing energy, but heavy coffee/tea drinkers may have developed a tolerance that will reduce the amount of benefit obtained. The body starts to burn fat when it experiences a calorie shortage. This can be achieved by anyone who sticks to a low-calorie diet that provides them with less calories than their body needs. Diet pills often contain appetite suppressants to help create this situation. Burn does not. However, the formulation does contain green tea and caffeine, both of which boost the metabolism and increase daily calorie expenditure. They also have the ability to cause the body to lose extra calories in the form of heat. This process is known as thermogenic fat burning. Meratrim (400mg): A proprietary blend that contains an undisclosed ratio of East Indian Globe Thistle (sphaeranthus indicus) and mangosteen (g. mangostana). DietSpotlight claim the value of Meratrim as a weight loss aid has been proven by two scientific studies. We only found details of one. The study period was 8 weeks, and 100 participants lost weight. 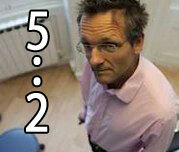 However, they all had to adhere to a diet that only provided 2000 calories per day. They also followed a 30-minute exercise program, five days each week. The average woman needs 2000 calories per day to maintain her normal weight. The average man needs 500 calories on top of that, and it has to be remembered the extra exercise would increase calorie expenditure sufficiently to create an energy shortage that would necessitate fat burning. In a situation like this weight loss is guaranteed to occur without the need for supplements. Green Tea Extract (200mg): Green tea contains a powerful blend of antioxidants, caffeine, and polyphenols that have proven value as a diet pill ingredient thanks to their ability to increase 24-hour energy expenditure and fat oxidization. Natural Caffeine USP (75mg): A common inclusion in all good brands of energy drink, caffeine’s pep-you-up ability should help prevent diet related fatigue. Caffeine is also a proven fat burner that can be found in a great many weight loss supplements. Chromate: (100mcg): A patent-protected form of chromium. Chromium’s ability to regulate blood sugar levels and prevent desires for sweet food has allowed it to become one of the most popular diet pill ingredients in the world. How to Use – One pill is required two time per day (30 minutes before meals). Users are told to drink eight or more glasses of water a day and good results will require burn be incorporated into an overall weight management program that includes diet and exercise. The Burn website has some testimonials that make the product sound like the best thing since sliced bread, but endorsements obtained from such a biased source is not to be relied upon. Feedback sourced from independent websites is an even mix of good and bad. The manufacturer points out Burn is not intended to be used by people who are under 18-years of age or by pregnant or breastfeeding mothers. People who have existing health issues are told to consult a doctor prior to commencing supplementation. The manufacturer also states some users may find the formulation causes them to get headaches and/or rapid heartbeat. Anyone who experiences either one of these reactions should stop taking the supplement at once. At the time of this review it was only possible to buy DietSpotlight Burn from the manufacturers website and, at a cost of $95.90 per bottle (lasts 30 days), it’s not a cheap diet pill to buy and shipping charges push the price up further still. 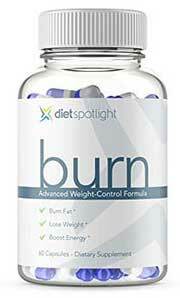 DietSpotlight Burn has a money back guarantee that’s good for 120 days. The DietSpotlight Burn formulation consists of four ingredients. The main ingredient is intended to be Meratrim, but it’s the one that has the least to offer because there is no conclusive proof it actually works. The other three ingredients are respected weight loss providers, but customer reviews suggest Burn is not effective for a lot of people so it’s possible Meratrim is interfering with their abilities in some way. Even if the product had a better reputation for delivering results, it costs twice the price of most good diet pills so we suggest you give this one a miss and try an alternative option instead. We review dozens of diet products every week and take into consideration key points such as: what is in the formula? Is it safe for everyone to use? Is it value for money? What is the customer service like should you need to return them? We have detailed our findings and list our our recommended products.